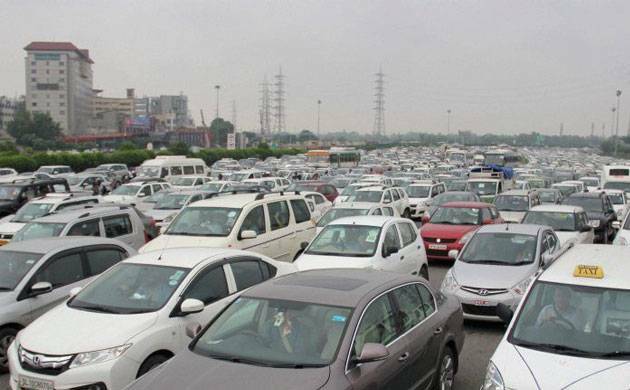 Major automobile makers Maruti, Ford, Toyota, Tata Motors and Honda on Thursday reported strong domestic passenger vehicles sales growth for February as the industry continued to recover from the demonetisation impact. The country’s largest car maker, Maruti Suzuki India (MSI) said its domestic sales stood at 1,20,735 units, up 11.7 per cent from 1,08,115 in February last year. The company’s growth was mainly driven by compact segment comprising Swift, Estilo, Dzire and Baleno, which grew by 9.4 per cent to 47,002 units last month as against 42,970 in the year-ago period. Sales of utility vehicles, including Gypsy, Grand Vitara, Ertiga, S-Cross and compact SUV Vitara Brezza, zoomed 110.5 per cent to 17,863 units in February, from 8,484 in the same month of 2016, Maruti Suzuki said. However, MSI’s sales of mini segment cars, including Alto and WagonR, were down 6.8 per cent at 33,079 units during the month under review compared to 35,495 in February 2016. Ford India reported a 52 per cent jump in its domestic sales at 8,338 units last month as against 5,483 in the same period a year earlier. Ford India Executive Director, Marketing, Sales and Service Anurag Mehrotra said “the industry is seeing some green shoots, recovering from the impact of demonetisation”. Toyota Kirloskar Motor also reported an 11.93 per cent growth in domestic sales at 11,543 units in February. The company had sold 10,312 units in the domestic market in February last year. Similarly, French auto major Renault today reported 26.8 per cent increase in sales at 11,198 units in India in February compared to the year-ago month. Tata Motors said sales of passenger vehicles in the domestic market went up by 12 per cent to 12,272 units last month. Tata Motors President, Passenger Vehicle Business Unit, Mayank Pareek said the growth in February was due to “a continued strong demand for the Tata Tiago”. Honda Cars India Ltd (HCIL) also reported a 9.44 per cent increase in domestic sales at 14,249 units in February as against 13,020 sold in the same month last year. “The market has shown positive sentiment during February and HCIL has also benefited from it,” HCIL President and CEO Yoichiro Ueno said. Hyundai Motor India Ltd (HMIL) said its domestic sales were up 4 per cent at 42,327 units during the month as against 40,716 units in the year-earlier period. HMIL Senior Vice President - Sales and Marketing, Rakesh Srivastava said during the month, there was “increased customer visits and conversions on the strength of improved customer confidence generated by the Union Budget, positively impacting the customer disposable income and overall business sentiments”.